Anti-money laundering requirements are they coming soon to an advisory firm near you? Maybe, perhaps as soon as next year. Regulators are at it again and considering anti-money laundering rules for advisors. Anti-money laundering requirements — are they coming soon to an advisory firm near you? Maybe, and perhaps as soon as some time in 2016. Yes, the regulators are at it again, trying to save the world with their No. 1 beloved tool — more regulation. In August, the Financial Crimes Enforcement Network (commonly referred to as FinCEN), a bureau of the U.S. Department of the Treasury, published a notice seeking to impose anti-money laundering (AML) program requirements on SEC-registered investment advisors. The proposal would require advisors to adopt and maintain an anti-money laundering program, file suspicious activity reports and comply with additional reporting requirements. Requiring that advisors adopt a formal AML program ignores the fact that virtually every small to medium-sized advisor in the country does not have, and never will have, any clients who may have any association at all (direct or indirect) to anyone on the Office of Foreign Assets Control’s sanctions lists. Also forget about the fact that advisors continue to be indirectly subject to AML requirements, as previously recognized by FinCEN in 2007 when it reconfirmed that SEC advisors were not required to adopt and maintain an AML program because the AML exercise is already undertaken by the independent custodian before an advisory account can be opened. Haven’t small and medium-sized advisory firms suffered enough, mired in regulations designed for a “one size fits no firm” regulatory maze? 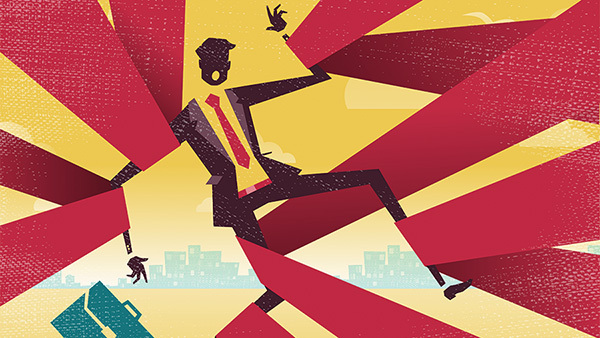 How much more time and resources must firms spend addressing regulations that have absolutely no relevance to the firm’s practice or clients? The result of these additional regulations is less profits (this administration doesn’t care about advisory firm “fat cats” — how little it really knows), and more importantly, less resources to spend with clients. Ah, progress! If only I could be commissioner for one year before I retire to bring some sanity to this regulatory minefield. In support of the SEC (which does sometimes get things right), after much written and verbal discussion and complaint in my columns, and during speaking engagements by yours truly, the AML questions were removed from advisory exams over five years ago. The commission has even stopped with the subsequent “we know that it doesn’t apply, but we think it is a best practice” argument. You know how I feel about the term “best practice” — the overused, abused and in many instances, just plain contrary-to-an-advisor’s-best-interest standard touted by regulators and so-called “compliance consultants” alike. This is not to imply that advisors can ignore or be cavalier about AML if it is ever confronted in their practices. But again, it is extremely rare, and the custodians are already obligated to undertake the review — not one dollar can be managed by an advisor for a “bad guy” until the independent custodian verifies that the prospective client does not present any AML concerns. For over 15 years, I have had advisors maintain a descriptive AML discussion in their policies and procedures, but have counseled them not to adopt an AML program unless required to do so. By having a policy and educating employees about AML (at least annually at the firm’s annual compliance meeting), advisors can be vigilant without being subject to another unnecessary and, given the custodian’s role, duplicative regulation. Note to regulators: You had it right in 2007. Enough already!